Are you feeling overburdened, downcast or just plain hopeless? Here are some words you need to hear. 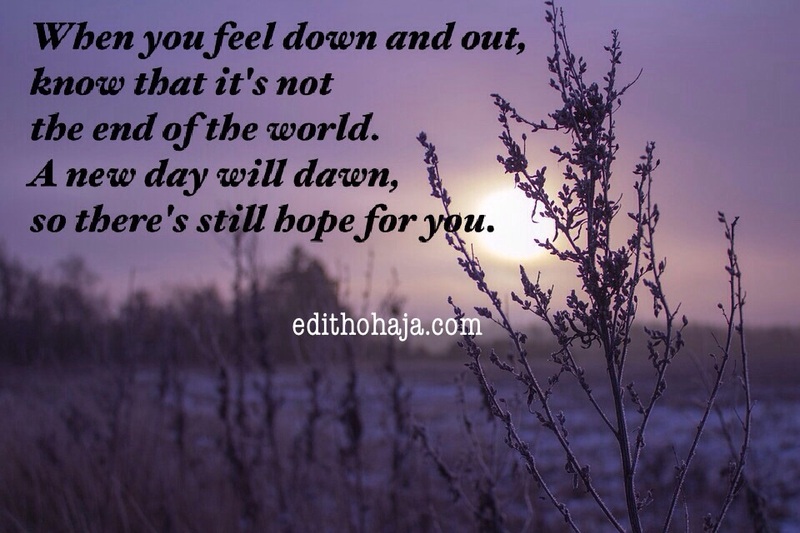 When you feel down and out, know that it’s not the end of the world. A new day will dawn, so there’s still hope for you. Thank you ma. l got to continue keeping my head up. Praise God! But it'd be nice to know who you are. You are blessed! Thank you ma. l got to continue to keep my head up. Thank Ma'am you sure have the right words to uplift the spirit of the down trodden. Hope is a really makes us keep moving even in a present anxiety, with the hope on who we have as a father, Our Lord Jesus Christ. We always have a reason to hope for a better days to come. .